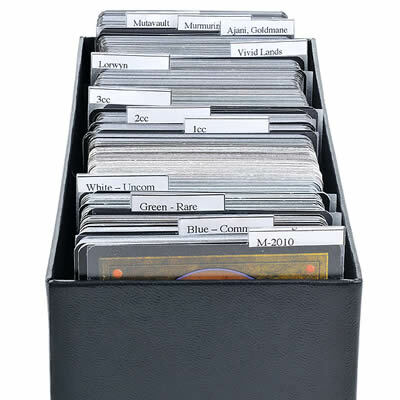 Easy and accessible organization of your M:tG and other CCG collections. Unique design allows for use in all storage boxes. Custom tab labels to organize your cards any way you want. Download the blank N-Dexer label template and print it out. Place the sticker-labels provided with your N-Dexer purchase on top of the printed template, taping edges of label to printed template. It only requires a small amount of tape along the edges to hold in place. Be sure to not cover any of the labels or the printer will print onto the tape, and you'll have to redo this process to rectify. Load paper into printer, making sure to feed into the printer correctly such that the printer will re-print in the same place. Return to blank template on your computer. Fill in card names, color, rarity, set or any other organizational markers you want, in each blank label cell. Print out sheet, pull off labels and attach to N-Dexers tabs. Label by name, color, set, or whatever works best! 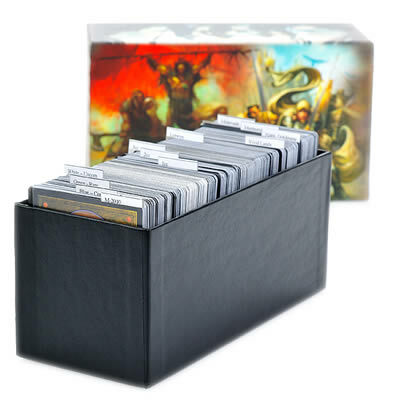 "The best way to organize your CCG cards and keep them easily accessible in storage boxes. 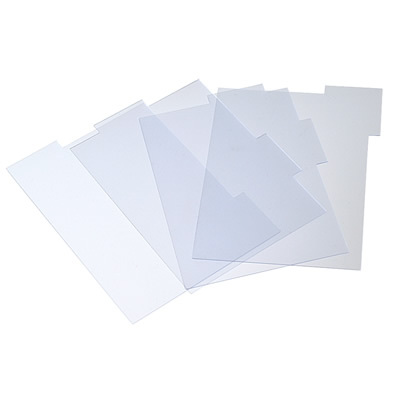 Each N-Dexer CCG Tabbed Divider is made of scratch resistant, flexible plastic approximately .25 mm thick. 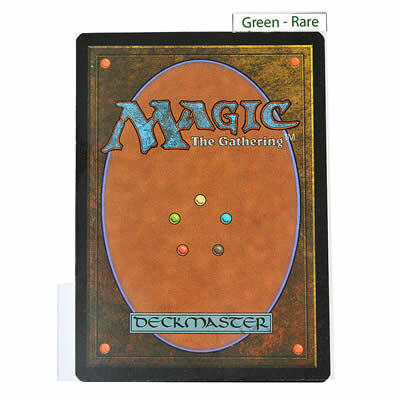 Dimensions allow for use in all industry standard storage boxes, deck boxes, and the Dragon's Egg." Main dimensions: 3.5" x 2.5" x .25mm — Just slightly larger than a card. Tab dimensions: 1/8" x 15/16"
When I saw the N-Dexers it was almost as if you were reading my mind. I am currently engaged in the massive undertaking of reorganizing the entire collection, transitioning completely from the binders over to 800 ct card boxes. You have a well-designed product; they're versatile (cards can go horizontally or vertically, the N-Dexers work either way); they're standardized (fit within the industry standard box) and yet do exactly what they’re supposed to do: segregate between groups of cards and, via file folder technique, make it easy to identify what is within each group. They’re customizable, and best of all they're not cost-prohibitive. Just got my N-dexers last night and honestly i had no clue they were going to be that high quality. Great job!